Congratulations 2018 4-H Project Record Participants! 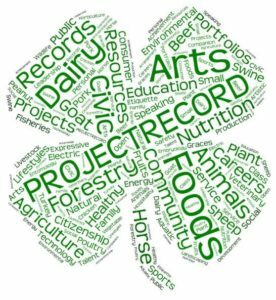 These 4-H project records will be on display at 4-H Achievement Night, Tues., Feb. 19, at Grace Lutheran Church, 1245 6th Ave W, Hendersonville, NC. All participants will receive a 4-H ribbon. Cloverbuds, ages 5 – 8, will receive goodie bags, to help them create 2019 project records. Funds from the Frankie Ruff Memorial Fund pay for Cloverbud awards. Participants, ages 9 – 18, will earn a blue or red ribbon. Blue means excellent work. Blue ribbon winners earn $10 from Henderson County 4-H. Red means good job, but your book needs more work. 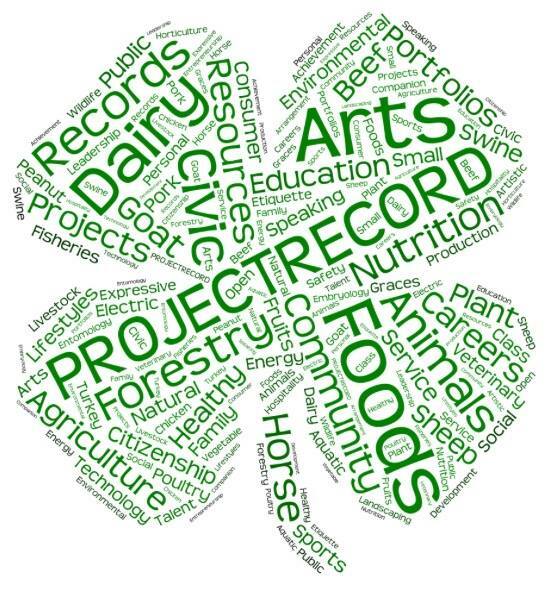 Henderson County 4-H can send two project records per age group and category to the district competition. District gold medal winners earn $50 from NC 4-H.
It’s time to start working on a 4-H project record for 2019! For forms, visit the North Carolina 4-H website. Project records are due January 2, 2020, to the N.C. Cooperative Extension, Henderson County Center. Contact Denise_Sherrill@ncsu.edu if you have any questions. Here is the link for project record forms for Cloverbuds, ages 5–7 as of January 1.